As a thriving business owner or manager, you may be looking for new ways to expand and grow the company. Some companies have found that a charitable causes division does just that. A charitable causes division seeks out worthy causes and sponsors them through exposure, funding and hands on support. This type of work isn’t done for money or profits for the company, but there are certainly many side benefits to running such a division. A charitable division can actually help to define your corporate identity and culture of caring. The public will be able to see actual evidence that your company runs an ethical business worthy of their trust. Your company will be able to maximize the charitable division by posting about the work on social media and on the company website. Charitable work naturally brings out an emotional response that the public will be able to relate to. The postings will create an organic communication’s link between the company and the social media followers. Employees will appreciate the opportunity to contribute toward a charitable cause, even if it’s not a direct monetary contribution from their own pocket. Many employees probably want to give to charities, but they are unable to do so. When you give employees a chance to “give back,” the overall employee morale is improved. Job candidates will be more attracted to your company when you have a charitable division, also. For starters, the exposure your company will get from the charitable division will advertise existing job openings more broadly. For another thing, people looking for a job that offers more than just a salary will be attracted to the prospect of working with your company. Your business will not only attract more job candidates, but the candidates you do get will likely be of higher caliber. Networking is essential for all kinds of businesses. With a charitable division, your company representatives will have the opportunity to enter into entirely new networking systems that your company would never have access to otherwise. 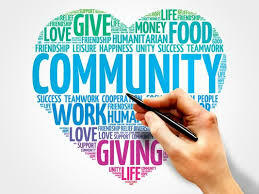 These networking channels will provide a chance to grow the charitable cause division, but they will also help to grow the profit center of the company through exposure, branding and goodwill. Of course, it has to be mentioned that having a charitable causes division in your company helps with tax liability, too. Much of the money and resources donated to the charity can be written off as tax deductions for the company. This amount can be very substantial and it helps to offset profits that the company made during the tax year. Whether your company wishes to support an existing charity through sponsorship or to form a brand new charity, a charitable causes division certainly makes sense from every perspective. However, the charity and its beneficiaries benefit the most from the efforts that your company and employees put forth.